Welcome to the Fall Fluff Giveaway hosted by The Parenting Patch and co-hosted by Cloth Diaper Addicts, Going Green with the Grizls, Viva Veltoro, Zephyr Hill, and The Anti-June Cleaver. James and Heather, a husband and wife team, launched The Parenting Patch: Where Parents Grow on September 15, 2011. In honor of the second anniversary of the blog and website, The Parenting Patch is giving away a $75 gift certificate to Nicki’s Diapers (of which The Parenting Patch is a proud affiliate). The Fall Fluff Giveaway continues until September 15, 2013 and is open to legal residents of the United States of America and Canada. To enter to win the Fall Fluff Giveaway, simply use the following Rafflecoptor form. The first entry is free. All other entries are optional; however, the more entries you have, the better your chances of winning. Here is to another great blogging year! The Fall Fluff Giveaway is restricted to legal residents of the United States of America and Canada. The Fall Fluff Giveaway ends at midnight EST on September 15, 2013. One winner will be chosen at random via Rafflecopter. The winner will be sent an email and will have forty-eight hours to respond. If no response is received within forty-eight hours, another winner will be chosen. 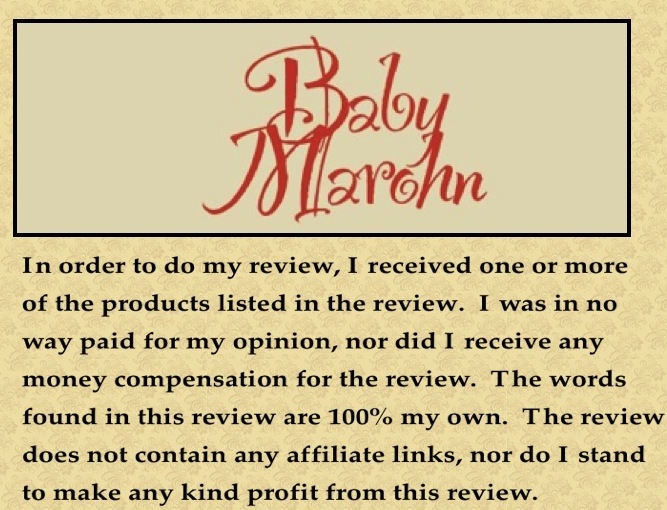 Baby Marohn is not responsible for prize fulfillment. Parenting sometimes leaves you with very little time to get shopping done, and Baby-BeeHaven gives you the perfect site to get everything done in one stop. Baby-BeeHaven is your one stop shop for fun and stylish children’s products! They have memory foam stroller cushions, baby feeding support pillows, swing bucket seat covers and even a convenient iPad holder & organizer for your stroller. To learn more about the awesome line of Baby-BeeHaven products be sure to check out Mama’s Mission Baby-BeeHaven Cush ‘n Go. Don’t like football? 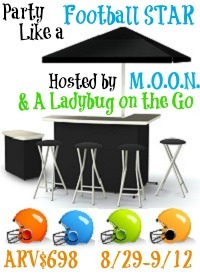 That’s ok it, the Best of Times Bar would be great for any type of party or sporting event. “Make Our Own Network” solely organized this event and I received no compensation for this publication. My opinions are 100% my own and may differ from your own or even those stated in this post. 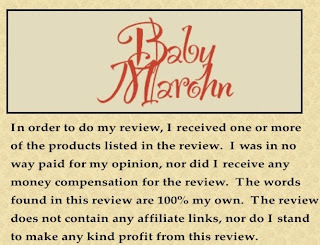 Baby Marohn is not responsible for sponsor prize shipment. Copy-Kids was recently brought to my attention by another blogger, and I was extremely excited to try out the DVD for Goose. Even though she has been a really good eater, she has recently started become a little picky, so I thought this might help. Produced for children aged 6 months to 5 years, Copy-Kids innovative video is fun and compelling for both children and parents. When we got the DVD came, I put in the DVD player, and Goose said “I wanna watch tomato.” So I pushed play. It was showing children eating tomatoes whole and cut up, Goose then said “I want tomato.” I went and got one from the garden and handed it to her. SHE ATE THE ENTIRE THING! We watched a few more episodes on the DVD, until she got a little tired of it and started asking to get down. What do I think of the Copy-Kids Eat Fruits and Vegetables DVD? Well… I think that this DVD is cute, and would really help children see that foods that are good for the body can also be yummy like candy. It would be really nice to have some background music. I think the Copy-Kids folks could really make this into a wonderful learning opportunity for children, and make it so that you are not just sitting there watching kids eat. I look forward to seeing the next production. The Copy-Kids Eat Fruits and Vegetables DVD is available directly through their website or on Amazon. Copy-Kids is offering me one DVD to giveaway to one of my lucky readers. Giveaway is open in the US to those 18+. 2 Red Hens Studio was founded by Lori Holliday, the ‘Mama Hen’, whom grew up on a 1,000 acre farm in rural Arizona in a huge family. Lori grew up with out a lot of money, but she quickly realized that you didn’t need fancy possessions or a lot of money to make something look pretty. She incorporates this same philosophy into her designs today. 2 Red Hens offers beautiful things for Mom and Baby including, but not limited to beautiful diaper bags made of fabric designed by Lori as well as one-of-a-kind Limited Edition bags made from reclaimed leather and innovative products that help solve problems such as the Toy Nanny and the Bibby Mat. I have personally wanted a 2 Red Hens diaper bag for a long time. They are super cute, and look like they would hold up very well. To whoever wins this giveaway, I hope you enjoy this bag from 2 Red Hens. The Rooster Diaper Bag from 2 Red Hens is a great diaper bag for a mom who likes to have a little style. This diaper bag’s outer layer is water – resistant, making it quick and easy to wipe it down in a pinch. It has a large zippered inside pocket, a bottle holder and two pockets with elastic. The straps on this diaper bag are removable for your convenience. Don’t take up room in the under basket of your stroller, just unhook both of the straps (leaving one end attached) and reattach your straps around the stroller handle. 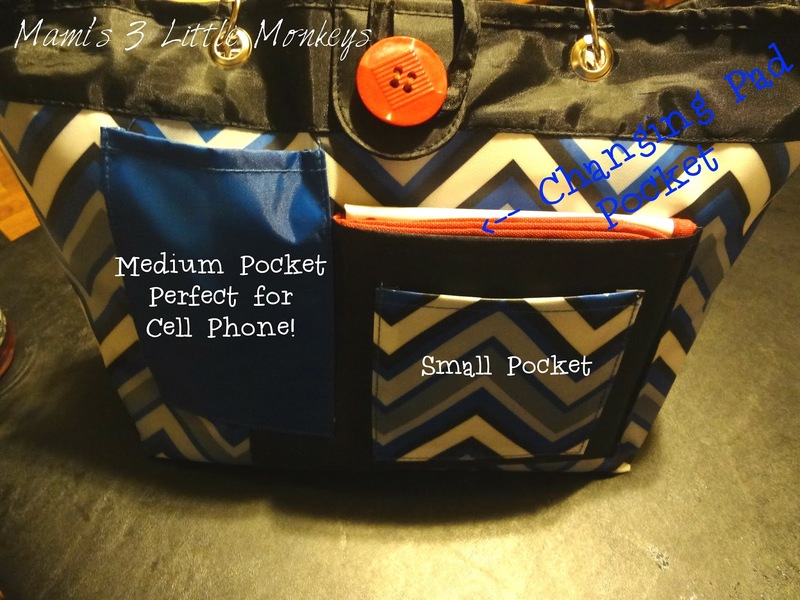 Magnetic snaps, at both ends of the diaper bag, help allow a busy mom to effortlessly close the diaper bag so contents don’t fall out, there is a magnetic button as well that helps for added security as so many of us moms use our diaper bag as a purse as well. Tired of having to go digging for gold your keys in the diaper bag, your purse, etc? The Rooster Diaper Bag has an attached key fob! PERFECT! You can view more detailed photos and read Mami’s 3 Little Monkeys full review here. One lucky reader will win a Rooster Diaper Bag ($50ARV) from 2 Red Hens in the print of their choice! This giveaway is open to US & CAN, entrants must be at least 18 years of age. Giveaway will run until August 31st at 11:59p.m. CST. Enter through the Giveaway Tools form below, there are 2 mandatory entries, you may do one or both, if you do both more entries will open. The more entries you have into the form, the better your odds of winning. Disclosure: Mami’s 3 Little Monkeys and all other participating blogs are not responsible for the fulfillment of this prize. I received no compensation for this publication. If you are a brand or company and would like to see your product(s) in an event similar to this one please contact Sarh at mamis3littlemonkeys(at)yahoo(dot)com . Baltic Amber and Hazelwood Teething Necklace Giveaway! Baltic Amber has long been used as a natural pain and inflammation reliever, which makes it perfect for teething babies! Hazelwood also has many uses, including: eczema, heartburn, morning sickness, acid reflux, headaches, heartburn, and arthritis. Goose wore an Amber necklace for over a year, and I honestly believe it helped her a lot. I recommend Amber necklaces to every mom I know. You can read a complete review by More Than Mommy HERE. One lucky winner is going to receive a Baltic Amber and Hazelwood necklace (child or youth size)! Simply enter on the rafflecopter below! *I received a product in return for my honest opinion. All opinions are my own, and yours may differ. More Than Mommy and Baby Marohn is not responsible for prize shipment. This promotion is not affiliated with Facebook, Twitter, or Pinterest in any way. The winner will be given 48 hours to claim their prize, or another winner will be chosen. Entries will be verified. We used a Chicco KeyFit 30 for Goose, and we loved it. The car seat is very well made, sturdy, and gave us the confidence that we were doing the best by our daughter. Disclosure: This blog, Fun With Four, and Everything Mommyhood are not responsible for prize shipment, as this is a sponsored prize from Chicco. We were not compensated in any way for promotion of this giveaway. Everything Mommyhood/Fun With Four received the above mentioned item, in exchange for an honest review. Our opinions are not influenced in any way. Facebook, Twitter, Pinterest, and any other social media are not affiliated with this giveaway. If you have any questions please contact the host of this giveaway at [email protected]. Pretty Mommies is the #1 physician recommended maternity skin care line on the market. Although it’s aimed at those who are pregnant or nursing – it’s natural, safe, skin care that’s great for ANYONE – men included!. It’s a simple three step system – Cleanser, Skin Brightener, and Sunscreen – it’ll cleanse, exfoliate, hydrate, brighten, soothe, provide high levels of antioxidants and anti-aging properties, as well as, physical broad spectrum sun protection. If you’re curious about how these products work, be sure to check out the review on According to Jenny. There are lots of new things happening at Pretty Mommies. If you’re a Zulily fan then you might have noticed them pop up there this past week! Not only are they now reaching their target audience online, you might also see Pretty Mommies in your OBGYN’s or Midwifes office. And if you’re in China – you can now get Pretty Mommies there, too! Pretty Mommies feels so deeply about educating women on the importance of safe maternity skin care that they’ve created a campaign on www.causes.com to raise awareness of this important issue. You’ll also soon find them offering up educational resources on http://safematernityskincare.com/ and they support an open forum for Q&A for anyone who has questions about skin care during pregnancy, nursing – or just in general. To celebrate all these new and exciting events (and their newly redesigned website) Pretty Mommies has partnered with the Blogging Mamas Network to answer your questions about safe skin care and giveaway LOTS of Pretty Mommies products! The Blogging Mamas Network and participating bloggers are not responsible for prize fulfillment. Participating bloggers did not receive compensation for this post, although they may be eligible for a reward upon completion.